The crowdfunding platform aims to assist students in need of additional funds in order to graduate. 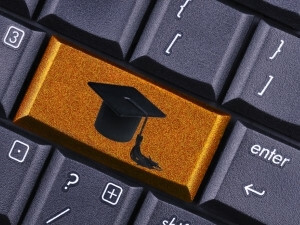 In the wake of student protests over the high price of university fees, a Gauteng software start-up company, Cybatar, has responded by launching crowdfunding scholarship platform, EduFund. EduFund is a crowdfunding Web app for university scholarships, bursaries, and grants. It is available free for all Internet accessing devices, all over the world. Phiwa Nkambule, Cybatar founder and CEO, says EduFund was launched to address the financial crisis students find themselves in. "The current South African student financing system is dominated by loans and scholarships, most of which leave students in what we call 'black debt' after graduation," Nkambule says. Over the past two weeks, the country has been engulfed in student protests over the increase in tertiary fees. The protests started at Wits University but spread quickly to others, such as Rhodes University, the University of Pretoria and the University of Cape Town. At the height of student protests, president Jacob Zuma and his government were forced to admit to a crisis in how university fees are structured, which led to the no fee increase for 2016. On Friday, Zuma announced there will be a 0% increase in tertiary institution fees across the country. According to Nkambule, despite the president's move to freeze fee increments for next year, there are still students that have difficulty affording the current fees and student costs. "I spent three years at the University of Pretoria and was involved in student movements during that time... I knew a lot of students that lived in the library and would go to bed without eating, a lot who were financially excluded in their final year, and some who haven't obtained their degrees after completion because of tuition debt." Students will face financial exclusions in January because of debt and inability to pay registration fees, he adds. Nkambule says EduFund aims to help National Student Financial Aid Scheme students raise funds from the public to top up the amount they receive from government. It will also assist students who do not qualify for financial aid but still barely make it through student costs, and foreign students studying in South Africa who can't afford tuition fees. "The public already cares; they just need a channel to reach those in need." He adds: "It hasn't yet reached many ears because I am still mobilising student organisations and people I know with NPOs to join hands with us but we received the first R1 000 donation on Monday. Students still need an explanation because crowdfunding is strange in South Africa, especially for varsity costs." Members of the public can access EduFund by creating a profile and campaign followed by their contribution. At the moment, EduFund is only open to students in South African universities. Meanwhile, higher education minister Blade Nzimande told members of Parliament yesterday, the wealthy should be taxed to fund the sector. According to EyeWitness News, Nzimande said government must have the political will to tax the rich to fund higher education. "None of us must develop cold feet about the necessity of taxing the rich to fund our children," he said. In an interview with 702's John Robbie, Nzimande said government would need about R3 billion to fund the 0% increase on university fees announced by Zuma.